In early 2019, Daniel began producing one brief video every day, and curating these videos on a site called makingabeautifulnow.com. The project represents a creative challenge and skill-building exercise as well as a public offering to garner a solid base of financial support for Courageous Phenomena: Music and Film. 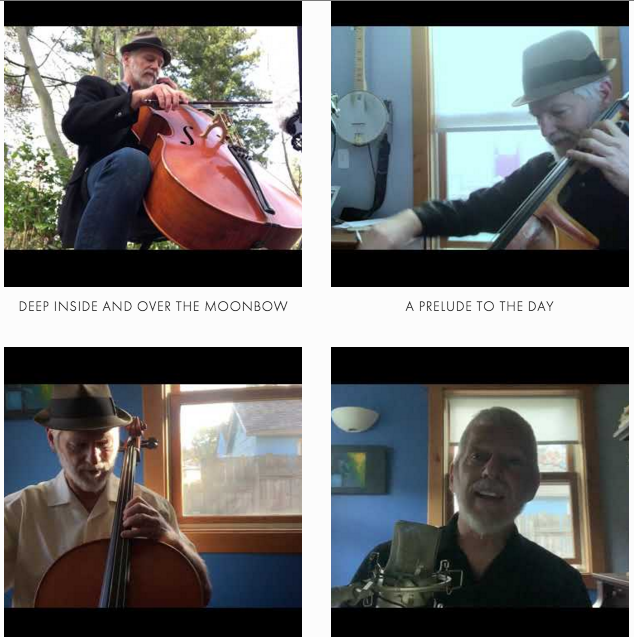 You can visit the site and enjoy videos that feature music, poetry, learning and storytelling. And if you are able, you can sign up to provide a monthly donation which will go directly to support the staff, new projects and equipment acquisition of Courageous Phenomena: Music and Film. During the warm season in Ashland, Daniel performs regularly in Lithia Park. You’ll find him in a spot beyond the duck pond as you enter the Park from the Plaza. As you get beyond the duck pond, there is a stone wall and some benches, a little meadow to your left, and the Creek to your right. Daniel generally arrives at around two at that spot, and sets up facing those benches. Usually he will be there for a couple of hours. His days to play are almost always Thursday through Sunday, and sometimes Tuesday and Wednesday, too. You can find his schedule on the calendar. Courageous Phenomena is a non-profit organization with the mission of creating seminal musical work inspired by the courage and heroic journeys of people in the Rogue Valley. Ultimately our goal is to make documentaries which include music Daniel composes and to realize public performances of these new works by an eclectic ensemble of strings, piano and winds. But we have a ways to go. We are working on funding, and in the mean time, Daniel is creating and curating work you can see and enjoy at makingabeautifulnow.com. This is an ongoing project to hone the skills of videography and storytelling. We are grateful to have the loving input and support of filmmakers like Aaron Moffat and Gary Lundgren. We’re learning and making progress. To see our vision, go to courageousphenomena.org. Life, Adjusted, directed by Sean Nipper. Watch the trailer here. Toward The Source, directed by Norton Smith. Daniel is available for hire for cello and cello arrangements on your recording project. Daniel offers lessons to committed beginning and intermediate cello students.